The TSA has found 120 guns in carry-ons this year, more than 90 of which were loaded. They even found a World War II bazooka round in a checked-bag at O’Hare. Luckily, it was inert. You might think all the firearms are what’s leading to the Equal Employment Opportunity Commission conducting an investigation. But actually, that investigation stems from allegations that the TSA had fostered a “hostile work environment” in 2010 for women and minorities in some regional offices. Speaking of hostile, passengers who hate the so-called naked scanners got some good news and some bad news; but maybe an innovative TSA etiquette class will make security more pleasant! Unless some of those clueless canines get involved. Stupid comments: Screeners hear all kinds of nutty things, but the joke’s on the person making the comment like the guy at Philadelphia International who told the TSA, “I can bring a bomb through here any day I want.” He was arrested. Could’ve been worse: an Aussie traveling on Singapore’s Tiger Airways was taken into custody for allegedly using profanity and narrowly escaped punishment by caning. EEOC investigation: The feds are looking at the TSA’s workplace environment to see if it’s hostile especially for women and minorities. In fairness, this sprang from allegations that date back to 2010; maybe things have improved but if not here’s hoping this does it. 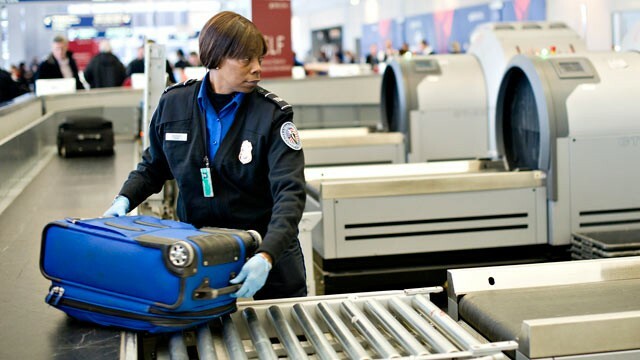 The TSA has said it does not tolerate inequality.